For A Truly Unforgettable Jamaican Vacation, Visit The Intimate Doctors Cave Beach Hotel In Montego Bay, Jamaica. 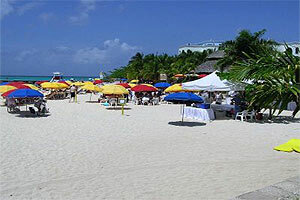 Doctors Cave Beach Hotel is centrally located along Gloucester Avenue in Montego Bay, Jamaica. It is a small moderately priced boutique hotel. The property has been family owned and operated for over 30 years. We strive to exceed the expectations of our guests and offer the type of personalized service that can only be rendered at a property of this size.